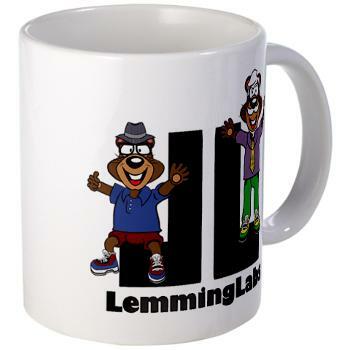 Please note: All FREE versions are FULLY functional! The ONLY thing different about the FREE versions are the ads. – Choose your background color from a palette of 47 colors. – Choose your pen color from a palette of 47 colors. – Choose your symmetry mode. 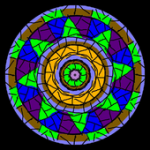 – Save your Mandalas to your Pictures folder. 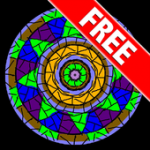 – Draw in Random modes which allows you to have the app randomly change color, pen sizes, or symmetry modes every time you lift up your finger! 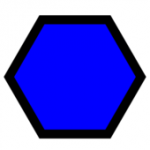 – 10 levels of undo!Warning: Its not just fun – its addictive! Paulie the Piggy loves pennies! Touch the screen to drop a penny. If Paulie catches it you get a point for every bounce! If Paulie misses – the bounce points go into the Jackpot. Catch a penny on 7 bounces and win the Jackpot! 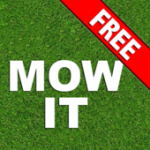 MowIt is a Lawn Mowing paint program. Draw your own pictures and crop circles! 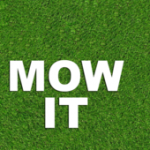 Touch to Mow – Shake to Grow – It’s that simple! Draw your own designs, patterns, crop circles, or leave messages in the grass. You can even mow the entire field. Watch out for the occasional dandelion. Shake your device and the grass grows back. 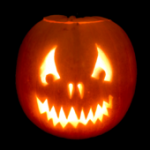 Enjoy and check out our other fun apps! iPad users can choose between Lawn Mower, Push Mower, or Weed Whacker! 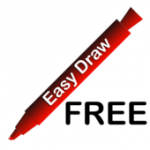 EasyDraw! is a simple and easy to use whiteboard application. – Save your drawing to your Pictures folder. – Draw in Random modes which allows you to have the app randomly change color and/or pen sizes every time you lift up your finger! – 10 levels of undo! 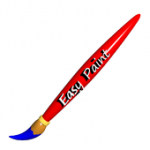 EasyPaint! 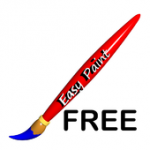 is a simple and easy to use paint application. – Choose your brush color from a palette of 47 colors. – Draw in Random modes which allows you to have the app randomly change color and/or brush sizes every time you lift up your finger! 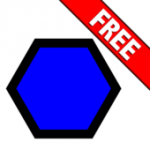 HexDoodle is a fun, clean, easy to use paint program that lets you assemble pictures with hex dots (like your favorite peg based drawing toy) from a wide palette of 48 colors.Your finished doodles can be saved to your Photo Album.Fun for all ages! 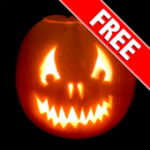 Carve It is the fun and easy to use pumpkin carving app for the iPhone and iPad.Just carve your pumpkin and then light it! – Choose your background color from a palette of 48 colors. – Choose your pen color from a palette of 48 colors. 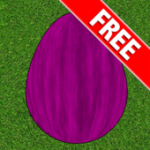 – Save your Egg to your photo album. 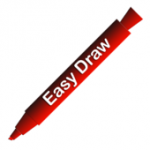 – Draw in Random mode which allows you to have the app randomly change color and pen sizes every time you lift up your finger! 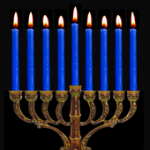 The #1 Virtual Menorah for the iPad/iPhone! Pick the candle type (Everlasting, Slow Burn, or Fast Burn), choose the night, watch the flames twinkle as the candles burn down! 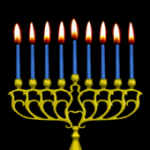 —The #1 Virtual Menorah for the iPad/iPhone has just gotten better with Menorah Deluxe! It’s everything you loved about the original Virtual Menorah with a fancier menorah and more realistic candles. Pick the candle type (Everlasting, Slow Burn, or Fast Burn), choose the night, watch the flames twinkle as the candles burn down!— Please note that according to the proper Jewish custom the candles are added from right to left and are then lit from left to right. 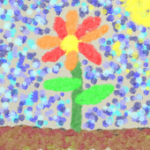 The Five Minute Masterpiece is a fun, clean, easy to use multi-touch finger painting program. Simple to use – choose from a palette of 27 colors and get messy (on the screen). This is not a drawing program but an organic painting program that lets you dab on dots of color (up to 10,000) and build up the paint until you have created your masterpiece. You can save your finished paintings to your Photo Album and even ‘replay’ your current painting and watch it playback before your eyes! Fun for all ages. —You asked we answered! 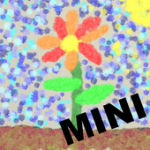 The Five Minute Masterpiece Mini is a smaller version (but just as fun) of its iPad big brother designed for the iPhone and iPod Touch – it’s a fun, clean, easy to use finger painting program. Simple to use – choose from a palette of 27 colors and get messy (on the screen). 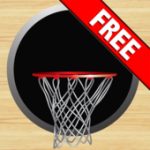 Catch the basketballs as they are thrown at you. Catch 11 (before you miss 11) and you win! The rules are simple – drag your little piggy bank around the screen to collect the quarters but be sure to dodge the pennies because if you touch one – its Game Over! 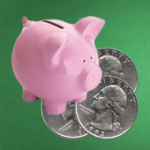 How much can you stuff in your piggy bank before your luck runs out?